(h) Republic Act No. 9189 (The Overseas Absentee Voting Act of 2003). The Omnibus Election Code must be read together with these other laws. This entry was posted in Philippines - Political Law, Philippines- Law. Bookmark the permalink. 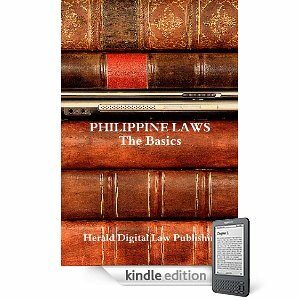 What laws are contained in each e-book? The "Available Titles" page of this site contains the cover page of each e-book and a list of laws contained in each e-book. See the "Frequently Asked Questions" page of this site for basic questions and answers on purchasing and reading the e-books. If you have additional questions, please write us using the "Contact Us" page.